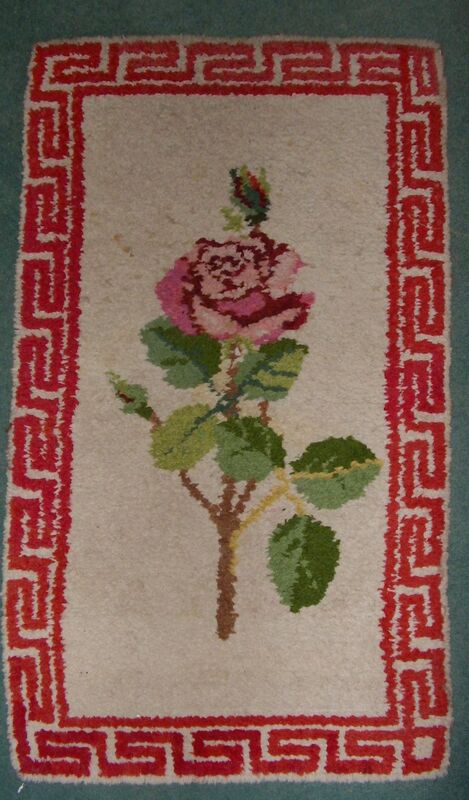 Rug making was only one small part of Dryad Handicrafts as they published leaflets and, where necessary provided supplies, on all manner of handicrafts from lino-cutting to cane-weaving, loom-weaving and potato printing. 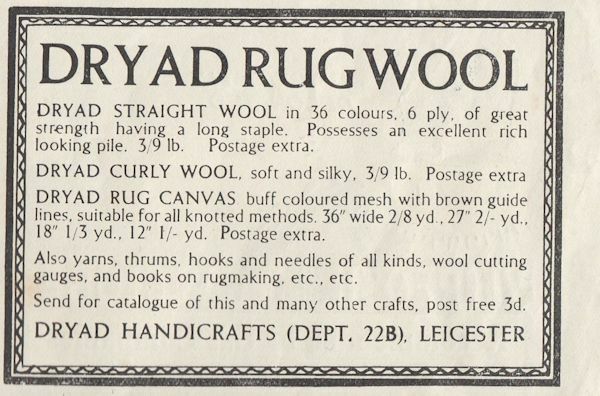 However this interesting company deserves a page of its own to showcase its 1927 leaflet "Rug Making on Canvas" and its philosophy. Dryad Handicrafts is mentioned in early books about occupational therapy, including rug making, in hospitals. They became the major supplier of craft materials to hospitals. I inherited a Dryad rug projects from a friend who who had spent time in hospital; the skeins of wool were supplied in a bale - enough for several rugs! Dryad's founder was Harry Hardy Peach (1874 - 1936), a visionary who wanted everyone, regardless of age or (dis)ability, to enjoy craft. He wanted his firm to be renowned for selling good quality materials that would encourage people to take up a handicraft. His vision was bolstered by a huge revival of crafts with its roots in the Arts and Crafts movement between the two World Wars, as well as a continued interest in "self-improvement". Harry was born in Toronto, Canada, but grew up in Oadby, Leicester. This was a return to Midlands roots for Harry's father. Harry set up as a bookseller and developed an appreciation of good quality printing. His friend Benjamin Fletcher, of Leicester School of Art, introduced him to the works of William Morris and William Lethaby. Harry gave up book-selling in 1906 due to deteriorating eyesight. A year later, he set up Dryad and produced cane furniture, then a novelty in Britain. Following the success of Dryad Furniture, Peach set up Dryad Metal Works in 1912. During the Great War, the Dryad Works provided a Leicester hospital with off-cuts of cane for basket-making by wounded soldiers. Harry and his first wife, Marina ("May") were involved in politics and social reform; May Peach was a committed suffragette and campaigner for improved health care for working class women, while Harry campaigned against the grim conditions endured in sweatshops. Harry was also concerned about environmental and rural issues including pollution and sustainability. Dryad Handicrafts also promoted "rural crafts" such as straw weaving and basket-making. The couple had five children, but May died in 1913 and Harry remarried two years later to Mabel Walton. 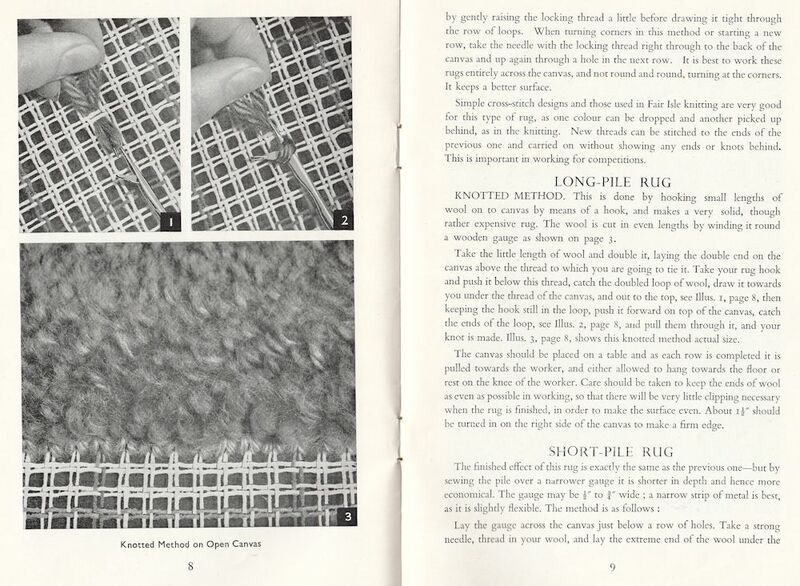 In 1918, Peach set up Dryad Handicrafts, to supply the growing demand for cane and other craft materials for use in occupational therapy and in schools. Harry also believed in teaching children, as well as adults, how to craft and design so that they would appreciate and demand quality later in life (unlike the disposable mass-production philosophy of today). He was committed to the teaching of craft in schools, and Dryad went on produced numerous leaflets that could be used in the classroom or home. 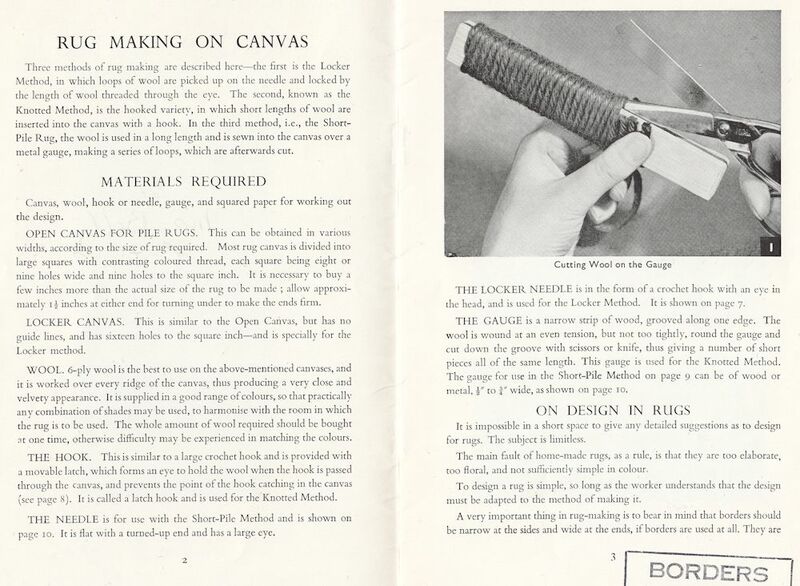 Crafting at home was thrifty and practical, but could be beautiful and high quality at the same time. 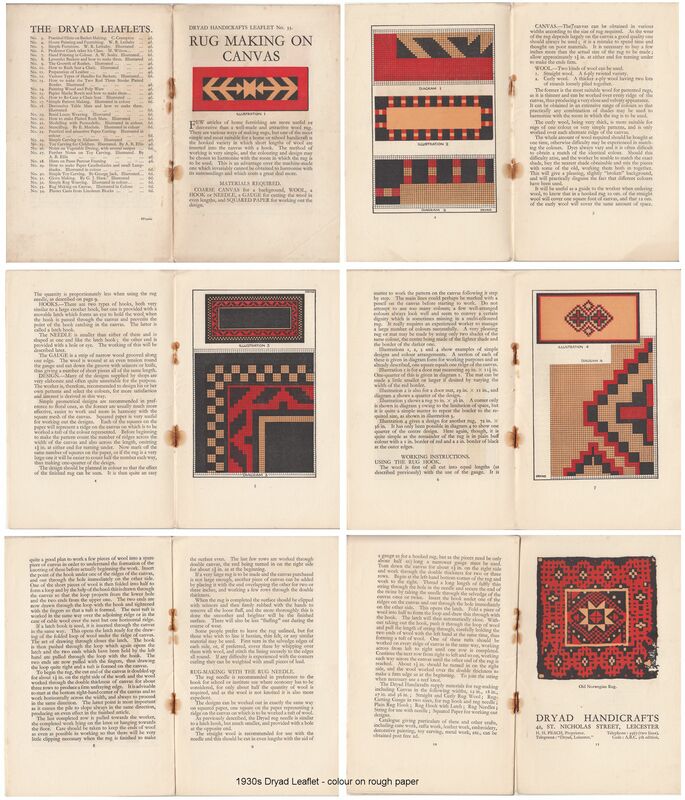 Dryad Handicrafts published a 12 page leaflet called "Rug Making on Canvas" in 1927. This early copy has colour print on rough, cheap paper. 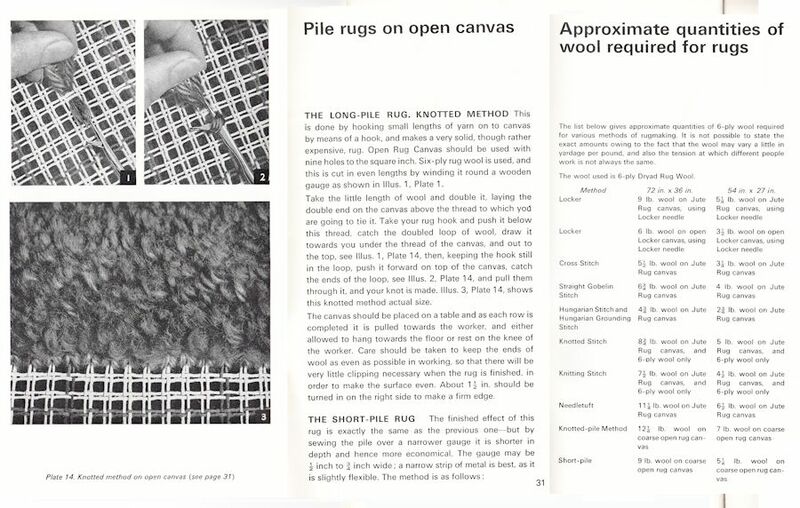 "Rug Making on Canvas" was updated and republished several times, reflecting different techniques and materials. 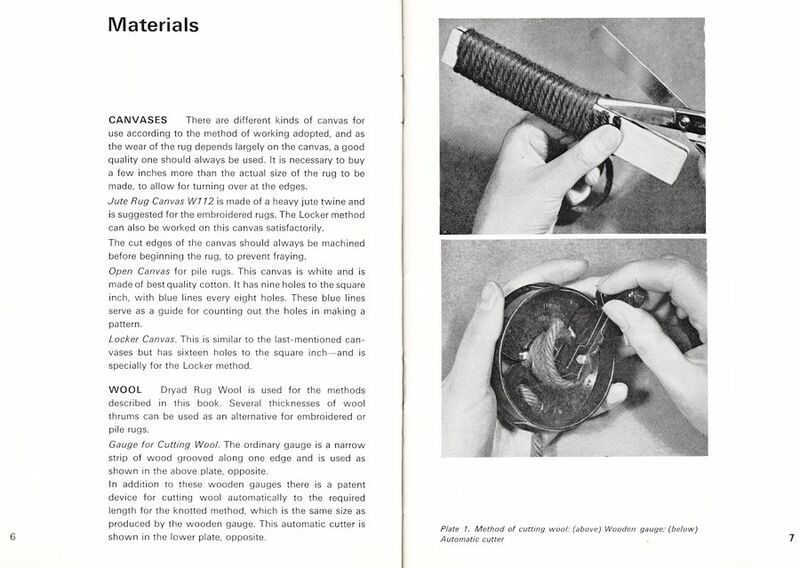 By the time of his death in 1936, Dryad Handicrafts had grown into the largest supplier of craft materials and the largest publisher of craft publications in the world. The Dryad name was still well known for cane furniture and cane baskets. After Harry's death, Dryad was run by George Hackett, with Peach’s eldest son Geoffrey, while a younger son, Roger, took over Dryad Metal Works. In 1972, the art and craft materials company Reeves and Sons acquired Dryad Ltd of Leicester. Dryad worked as partners with Reeves Paints and Windsor & Newton (another Reeves company) until 1991 when they became a privately owned business "Specialist Crafts" through a management buy out. Specialist Crafts supplies creative products to the educational sector (from primary school to university) and also to Occupational Therapy departments, Prisons, Social Service Centres etc. Homecrafts is their retail subsidiary serving the private sector. This was branded as Homecrafts in 1994 and is owned and run by descendants of Harry Peach. The company adheres to his philosophy of quality materials. 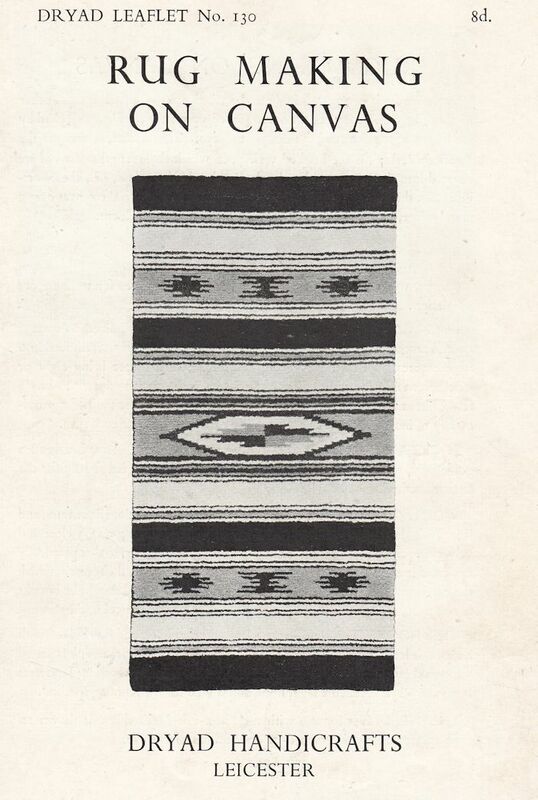 Their rug wool is "Sure Stitch" six-ply 100% pure new wool, mothproofed and fast dyed in a bright range of colours. Sold in hanks of 113g (approx 60 metres). They also supply canvases, cutting gauges and latch-hoooks. It is well worth visiting their website as they are excellent value. 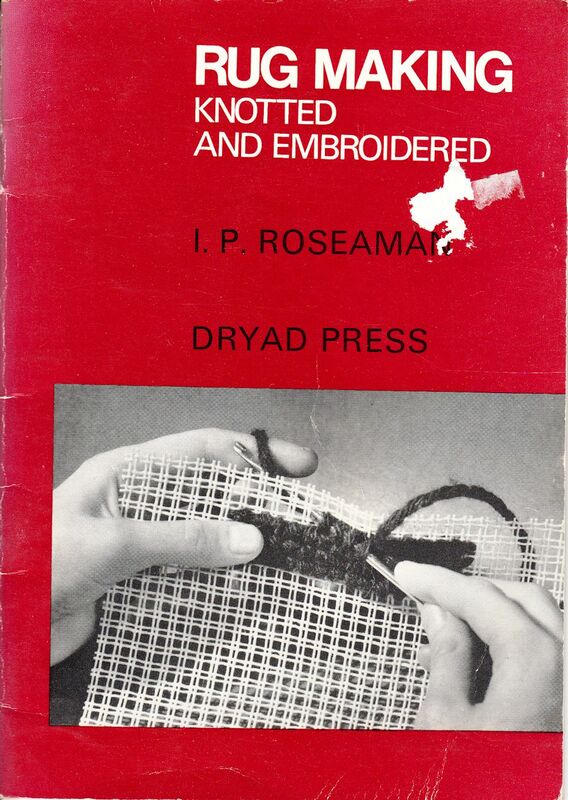 I also have this 1972 edition of Dryad Handicrafts "Rug Making. Knotting and Embroidered".